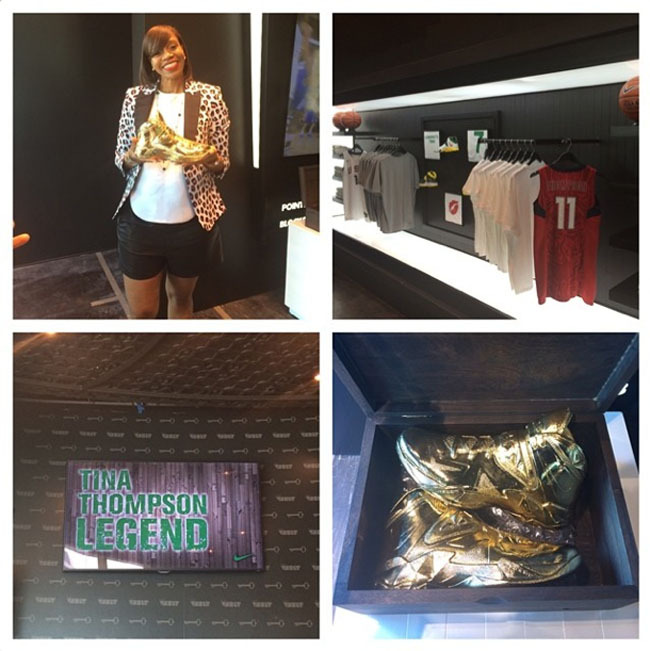 Yesterday, WNBA legend Tina Thompson was honored with a special pair of Nike LeBron Soldier 7s. There's an easy joke to be made about Nike having to find something to do with LeBron's unused 3-peat parade shoes, but let's not go there. Instead, let's just focus on the real point of these kicks: honoring the career of WNBA legend Tina Thompson. This pair was presented to Thompson, the first draft pick in the history of the WNBA Draft, yesterday, at the Nike Vault in LA. Check them out, and let us know your thoughts. 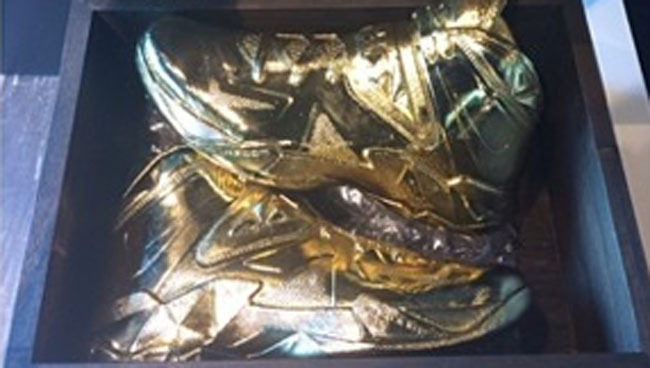 UPDATE: The Soldier 7s pictured are Tina Thompson's final game shoes, bronzed by Nike and presented to Thompson in honor of her retirement.